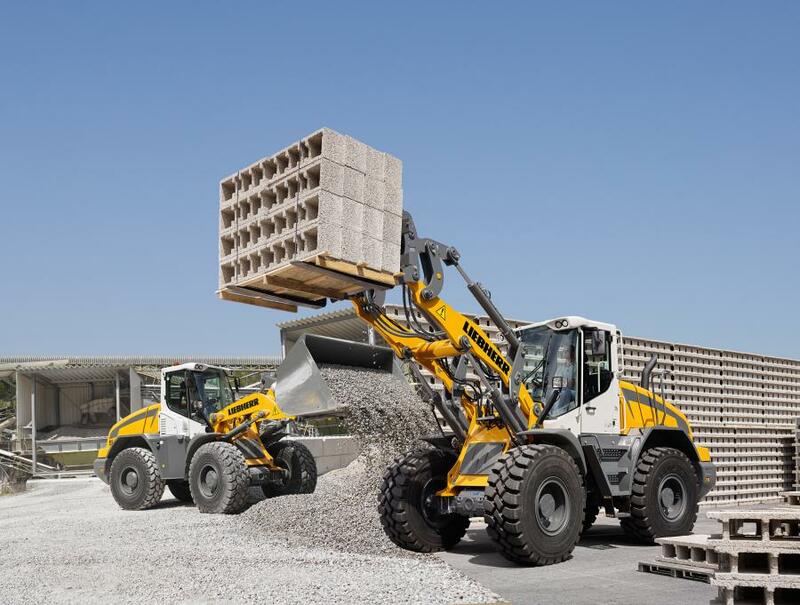 Liebherr’s L 538 Tier IV Final wheel loader is suitable for a multitude of applications and can be used in a traditional capacity, for earthmoving or material handling of all types of construction material through the use of different attachments, according to the manufacturer. Liebherr's L 538 Tier IV Final wheel loader belongs to the new generation of mid-size loaders that remain true to their reputation as powerful and reliable all-rounders. These size loaders are highly versatile machines suitable for a multitude of applications and can be used in a traditional capacity, for earthmoving or material handling of all types of construction material through the use of different attachments, according to the manufacturer. This wheel loader features a parallel linkage for multi-use operations, achieves a tipping load straight of 22,705 lb. (10,300 kg) at an operating weight of 30,645 lb. (13,900 kg), is powered by a 153 hp (l) / 114 kW Tier IVf diesel engine and equipped with a 3.14 cu. yd. (2.40 cu m) quick hitch re-handling bucket with bolt on cutting edge. The implementation of energy efficient technologies such as the hydrostatic drive combined with the Liebherr Power Efficiency system (LPE), optimizes the interaction between drive components. This system adjusts the engine for every working situation, delivering maximum performance and power at low engine speeds, enhancing the efficiency of the wheel loader and providing additional fuel savings up to 25 percent.